A Local Hero is someone whose volunteer service to others embraces the sense of community, and who has not received an award for this volunteer effort. Local Hero honors people alive or deceased who recognize their responsibility to their community and possess a selfless dedication to the betterment of others and the betterment of our community. Living in a small town may not seem important to many people but to some, it is their way of life. The time and dedication of humble individuals can make a big difference and go unnoticed in small towns. 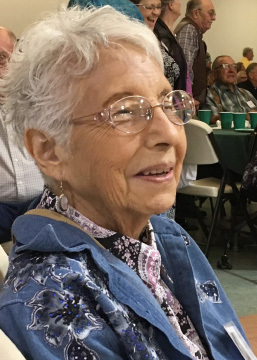 This would be the case for 86-year-old Rita Carmen Davis who just recently passed away and left the community that she dedicated herself to all her life, vacant. During the regular City Council Meeting of April 11, 2012, Linda Smith, Bethel Storehouse Director, and staff were present to provide their annual financial report. Mayor Ted Hart and the City Council thanked them for their continuing efforts and commended them for the many services they provide to our community and surrounding area. The Storehouse is celebrating 25 years of service on Saturday, April 28. Our first "Local Hero" is Lieutenant Commander Gilbert "Thomas" Candelaria. 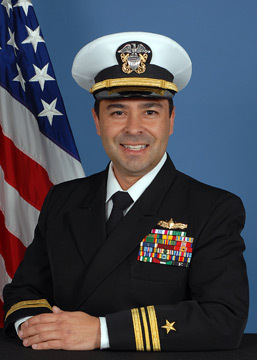 LCDR Candelaria is divorced and has three children who reside in Maui, Hawaii. He is the son of Junior and Helen Candelaria. Junior was a long time employe of the City and retired in 2011. Applicants can be nominated by an individual or group. A selection committee will review all nominations. We will select one individual. Each nomination must be submitted on a separate form. Winners will be announced Quarterly and be featured here.